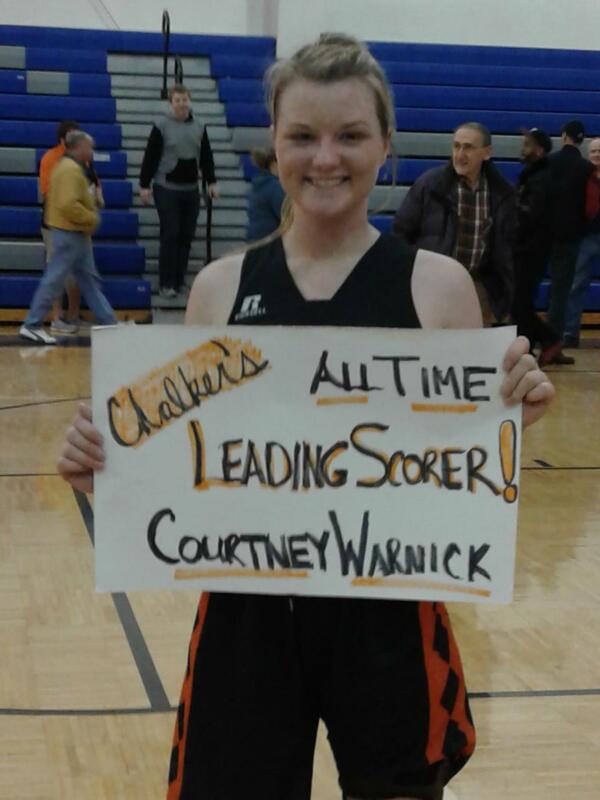 *Courtney Warnick became the all time school scoring leader (1,463 pts) on February 28, 2018. Courtney also holds the Trumbull County Record for steals (445). She is 21st in the State for steals. *Courtney Warnick scored 1,000 points on February 6, 2017 vs Maplewood.